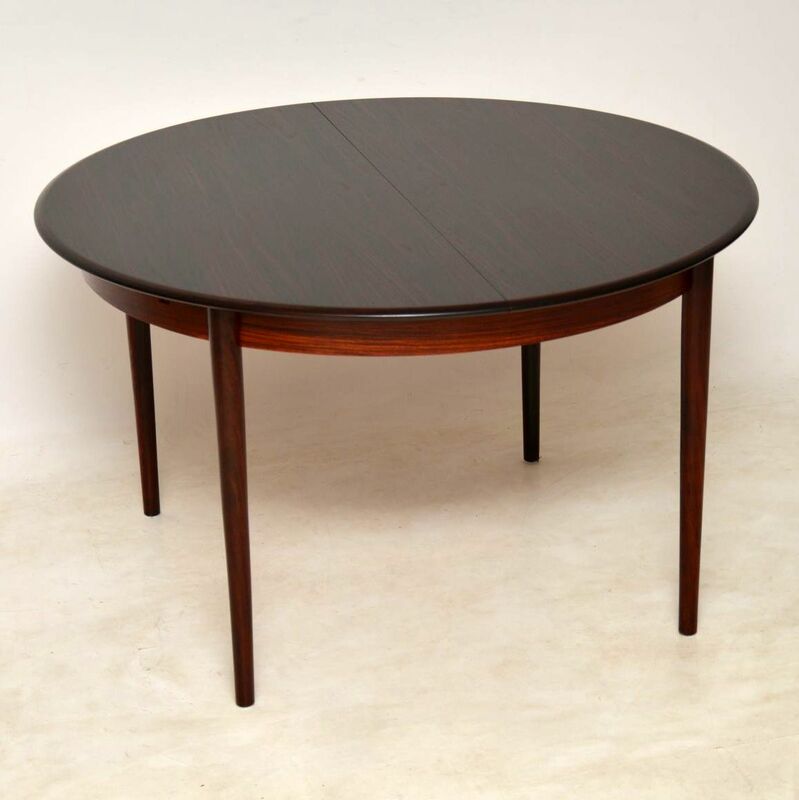 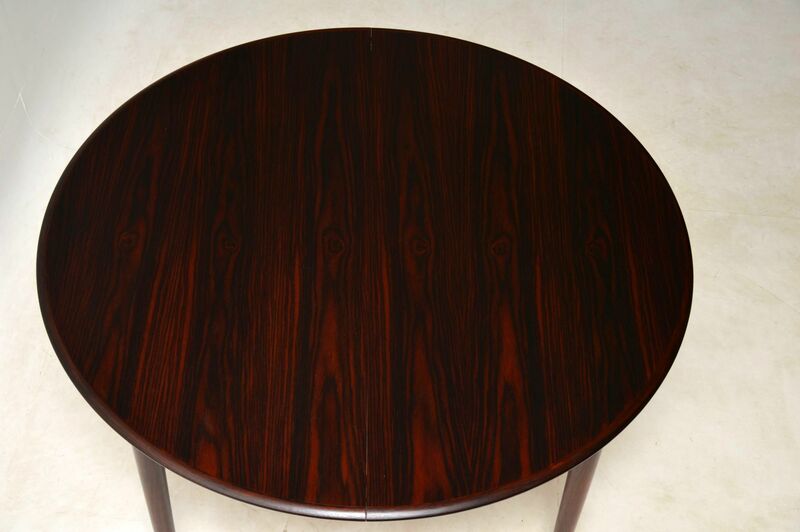 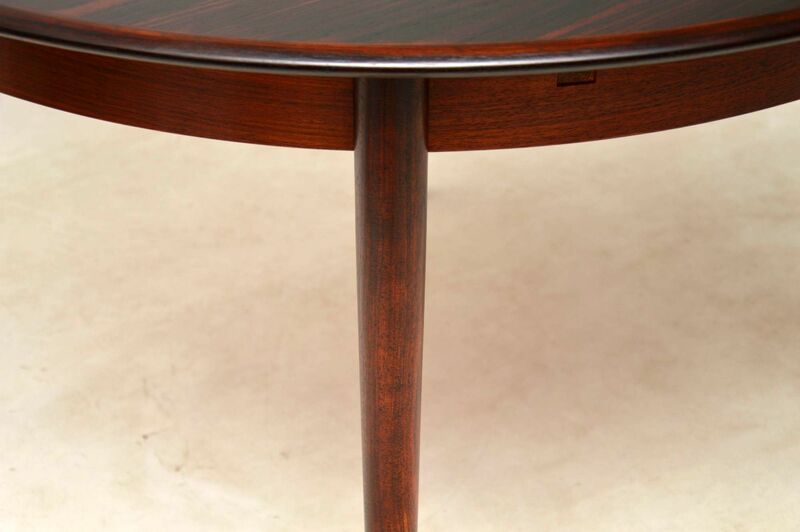 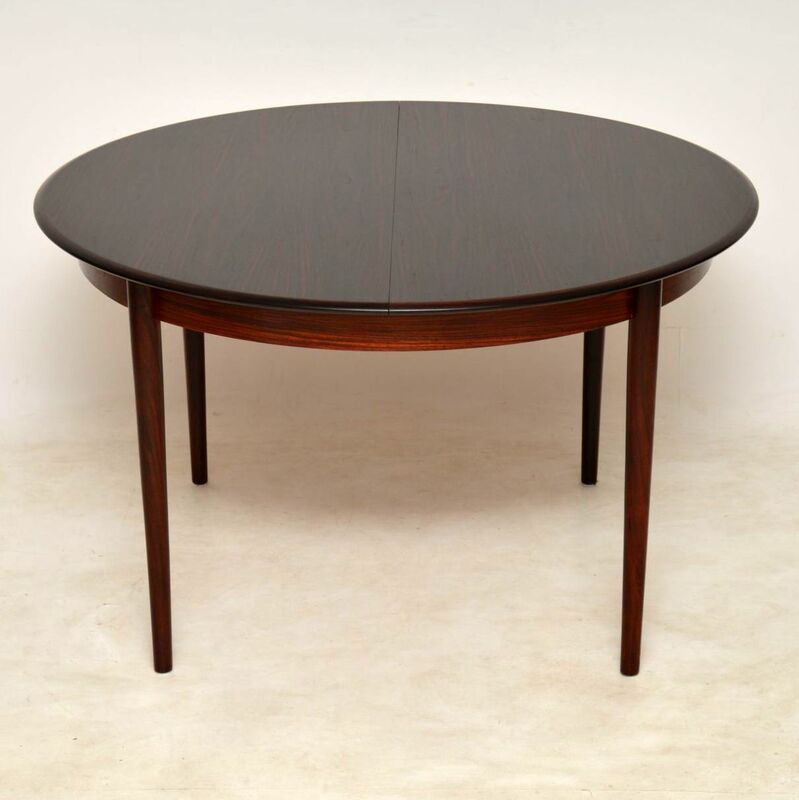 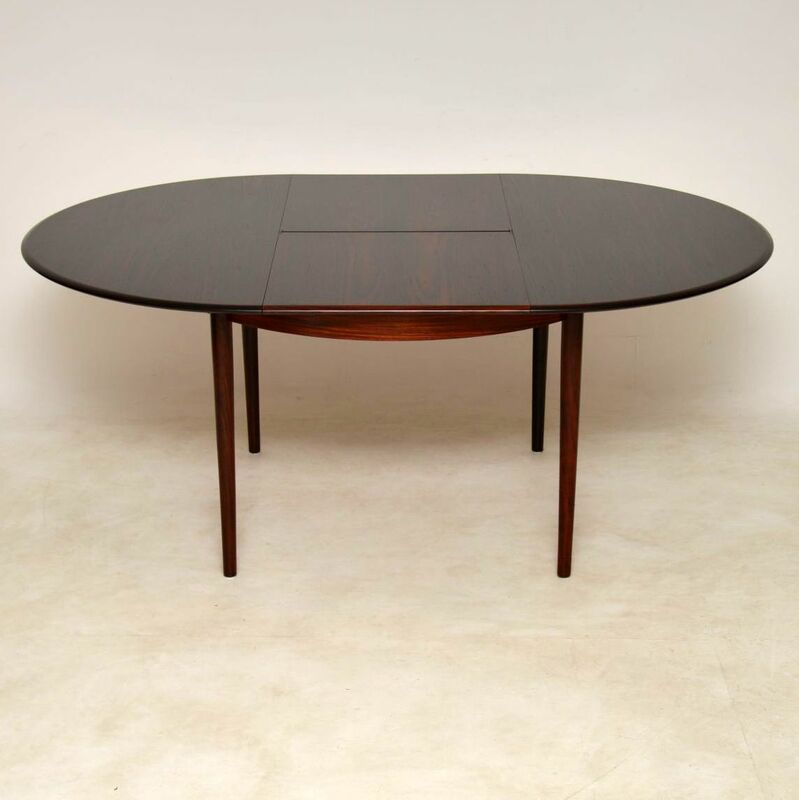 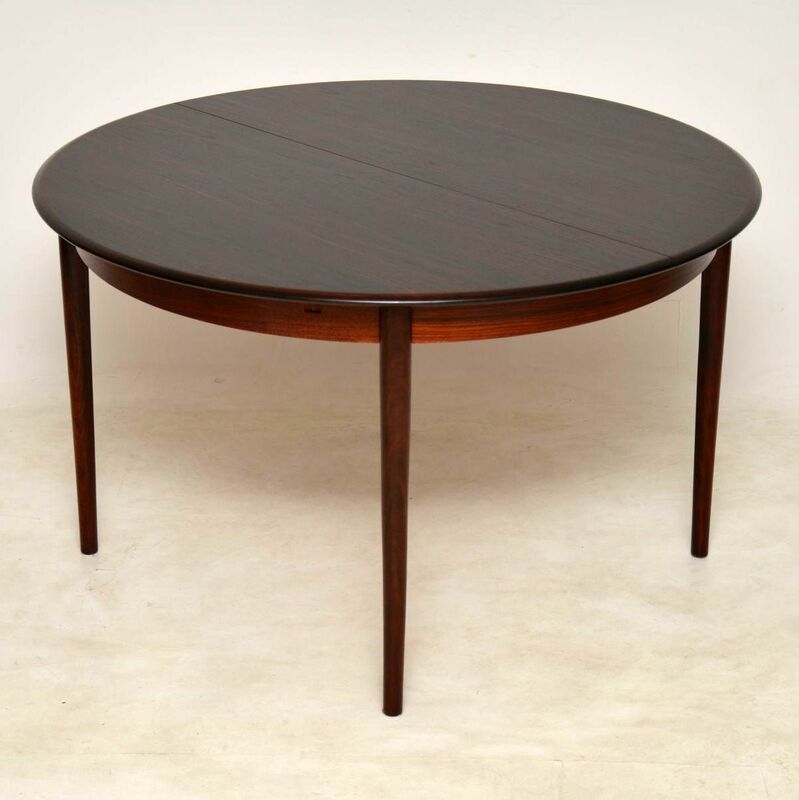 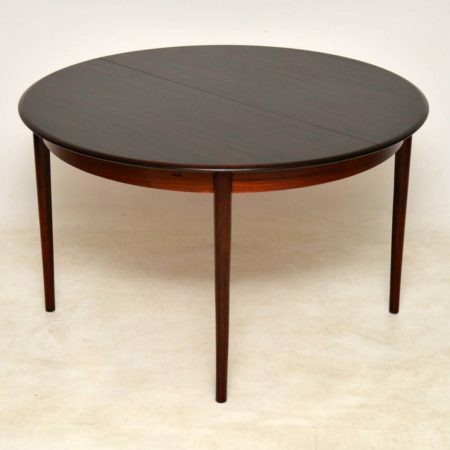 A stunning Danish vintage rosewood dining table, dating from the 1960's. 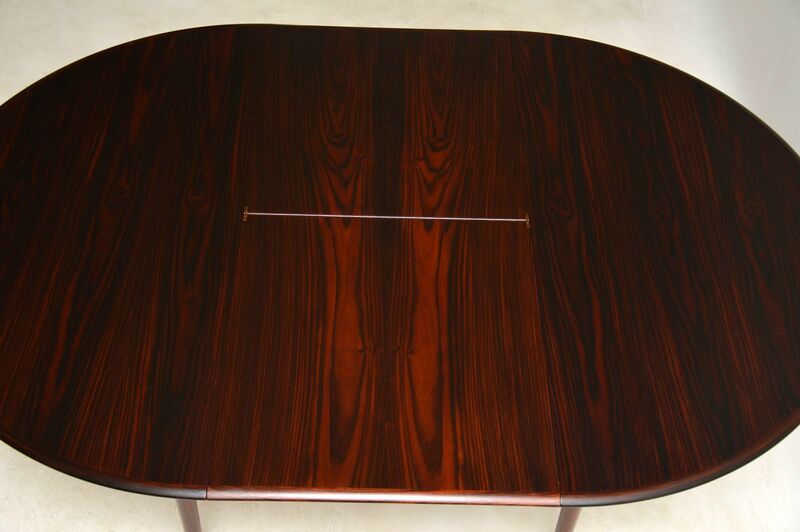 This is in great vintage condition, with only some extremely minor wear. 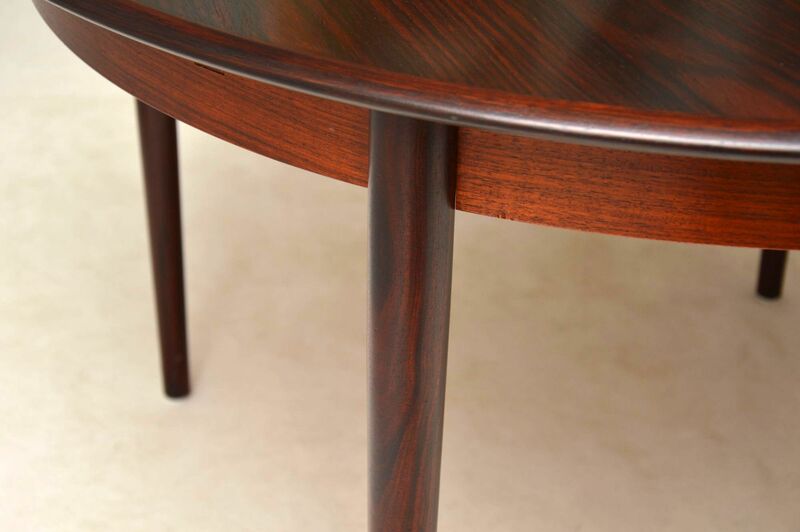 There is an extending leaf that is stored beneath the top and flips up to extend this to seat six – eight people. 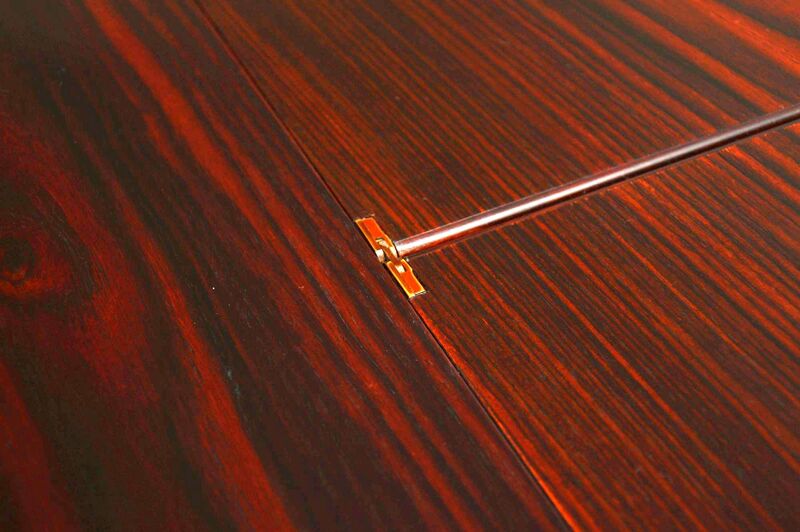 The legs can easily unbolt and detach for ease of transport.